There is a need for people to find an affordable place to stay. The place, however, needs to be as close as possible to the Strip. That is what brings many people to Bally’s Las Vegas. The crowd comprises the young and old alike. Surprisingly, unlike in other Las Vegas hotels, the young prefer the pool area. On the other hand, the old like staying indoors. Playing slot machines is their thing. The latter do not care about smoke that many young ones complain about. Everyone has a choice to make anyway. Those who love swimming can freely do so. Those who love playing games, they too can enjoy. · Physical address: 3645 S. Las Vegas Boulevard, Nevada 89109, USA. · Stop By Burger Brasserie Restaurant. When you talk about the location of the facility, this is one of its strongholds. Bally’s seats right at the center of the Strip. Isn’t that what you want? Quick reminder! Bally’s is in the heart of the Strip. Speaking of the facility being at the heart of the Strip may not be enough. Look! Caesars Palace and Bellagio are its neighbors. Paris is the very next-door neighbor. The Forum Shops, The High Roller, and other social attractions are at a walking distance. That is the kind of convenience we are talking about. Interestingly, Bally’s has its monorail stop. Above all, this is one of the things that give this facility a score above others. 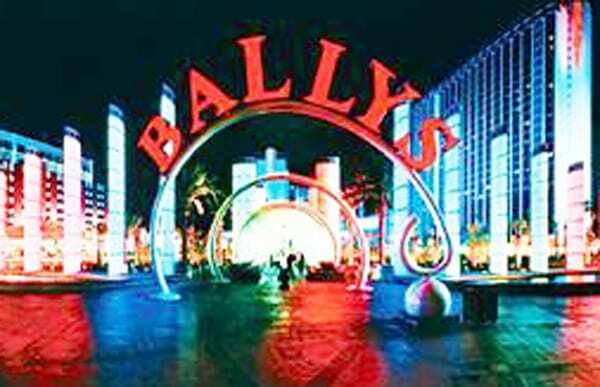 Like most facilities within the Strip, Bally’s is also about 15-minutes from McCarran International Airport. In case you are hiring a car or driving your own, do not fear about parking. To self-park a vehicle at the facility’s parking lot is free. But there is no need of hiring one. A fifteen-minute drive from the airport is close. It is good to mention that many young people are not happy. It doesn’t mean that the old put up. The young are vocal and complain a lot. Nothing seems to be working though. The central casino area has smoke most of the time. Maybe it is because of the low ceiling that you can see once you check in. The renovation is complete on two of the hotel’s towers. The two towers are Indigo Tower and Jubilee Tower. Both of these towers have spacious rooms. These rooms come with modern retouch and important amenities. Jubilee Tower is just above the casino. As such, there are times especially in the nights when its calm, noise travels. So, if you book a room at the Jubilee, do not expect it to be as calm as in Indigo Tower. During the 2016/17 calendar, there is a lot of renovation going on in the facility. Most floors are completely done. You may like the idea that the pool is cleaner than before. Some work needs to be done on the furniture anyway. The other good thing is that at the Bally’s Las Vegas, there are over 20 stores. It is from here that clients can buy stuff as they head home.